There is nothing as comforting to our taste buds as the different flavours of biryani exploding in our mouth. Its the classic Indian dish its godly its aromatic and its one of the most famous delicacies of our country. It was first introduced in India, when Mughals captured the region, and the Arabs introduced it to some parts of South India. Biryani since then adjusted and accommodated to regional tastes and preferences, economic factors and some inventive tweaks to the original recipe. Whether it’s the coconut and boiled eggs in the Hyderabadi biryani, or the taste of Mutton in Lucknowi one, or the potatoes that add textural heft to the Kolkata variation, the different versions and tastes of biryani will always be people’s first choice when it comes to eating Mughlai food! Hyderabadi Biryani is said to be more spicy and pungent, it is made in the form of Dum and has a lot of Zaffron in it when compared with Lakhnawi biryani. The combination of basmati rice and chicken piece(usually they serve a big chunk of chicken and not small pieces) is what makes Hyderabadi biryani distinct from the rest. 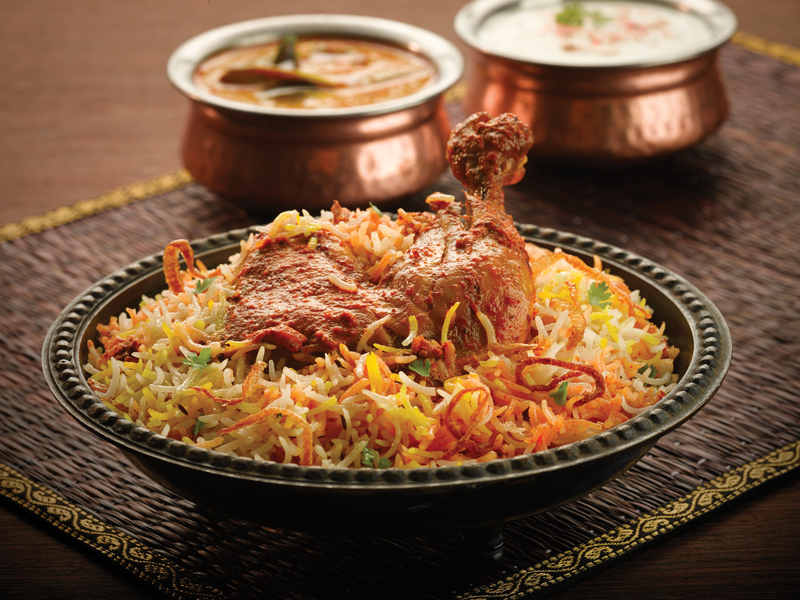 The hallmark of Hyderabadi Biryani is its strong spices and its Presentation. Also known as Awadhi Biryani. Well in Lucknow it is believed that biryani is not just one singular dish ,but its a combination of Biryani, Tari (special gravy which is meant to be eaten with biryani) and Raita. While the hyderabadi biryani is rich in spices, Lakhnavi biryani is more pleasant to the stomach and has a soothing aroma. The distinct feature of a Lakhnavi Biryani is the use of Mutton cooked in a dum pukt style which means that gravy and rice are sealed in a handi and cooked over slow flame In Desi Ghee, which makes the mutton pieces juicy and aromatic, this process gives Awadhi biryani a distinct taste. Kolkata Biryani evolved from the Lucknowi style, when Wajid Ali Shah the last nawab of Awadh was exiled to Kolkata, his personal chef started cooking biryani for the nawab there, but the less affluent families of Kolkata who could not afford meat started using potatoes instead. For the people who like Chicken Biryani , Hyderabad wins hands down. People who do not enjoy rice that much and would love to add eggs and potatoes to it and also for the vegetarians Kolkata Biryani is the best. but For Mutton lovers and an unparalleled pure Mughlai experience there is nothing more satisfying to the taste buds than a plate of Lakhnavi Mutton Biryani along with Tari and Raita, its heavenly and perhaps the best mutton and rice dish available to mankind.